Metal Gear Solid 4 Is Out! Hideo Kojima Is A Guinness World Record Breaker! Set in a world ridden with wars.After 1000 years of war, something must change. This game seems more interesting by the hour. The battle system is unique and beautiful. 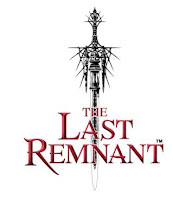 PS: The MS (MicroSoft) logo appears at the end of the trailer, but that doesn't mean The Last Remnant is X360 exclusive! As it seems, this trailer was used for MS RPG line-up, so Sony's PS3 logo would have seemed out of place. Metal Gear Solid 4: Guns of The Patriots was officially release today! Go grab your copy now!! Gametrailers had done a review of the game, so had many other sites. Go play the game already! 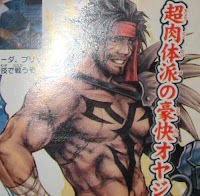 New images were revealed for this PSP fighting game by Square Enix. 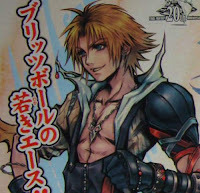 Two characters were revealed, Tidus and Jecht from Final Fantasy X. Credits for the pictures, The Magic Box. 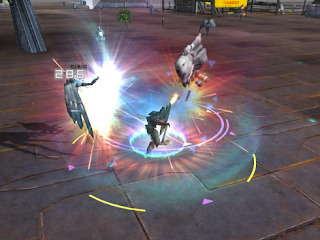 I read this article about this new MMORPG at mmosite.com. When I read the features section of this MMORPG, I found them to be rather interesting so I set out and went to the game's site, that's where I really knew this game was unique. Anyways, this game, The Lacon, features interesting controls. Movement is WASD style (W, A, S, D keys). The battle system is as usual, point and click. But what's different is that it's in real time! Yeah, you click, and you character attacks. As long you keep clicking, your character will keep on attacking, but be wary, as you will get a "MISS" if your hit wasn't aimed right! You have to align your character with your enemy in order to land a hit. So if you moved away from your enemy's hit, you'll evade it! This game is still in CB (Closed Beta) phase, so there are a lot of things that need attending to! But I really liked the battle system, so I thought to let you know about this interesting game. The Lacon is kind of science fiction type, in that you play with your character (Avatar) and their mobile suits (Battle Units as they're called in the game). The game is very low on both quests and human players! As it's relatively new. I think there's room for improvement in this game, but it also could sink faster than the Titanic did! I hope more people would support this game, as it has some serious potentials! The full story is here, Kotaku.com. Now, console MMORPGs? What took them so long to think of this? I can only imagine. But to be fairly accurate, I think there is a console MMORPG out there. Yeah, FFXI! But let's think about this for a second. If they were to make console MMORPGs, would they still have the same current formula? I mean everything from quests to the hideous point and click system! How would they even implement point and click in a console? Let's hope that those next gen MMORPGs are the thing we need in the MMORPG world! A WoW (World of Warcraft) gamer got arrested for kidnapping! The 27 year old gamer Morgan Douglas Jones, was arrested on kidnapping charges when Saddie "Elaine" Julian, just 14 years old, ran away with him on a trip from Boise, Idaho to Franklin County, Washington. That's where Jones was ultimately arrested. Full story here, Kotaku. This story got me thinking about something I've been longing for in MMORPGs. Even though it's not of crucial importance, it is however very useful! The idea is, why can't the developers of MMORPGs develop a system where characters are age-based?! In that I mean, the model in-game represents your true RL age! That would make it easier for you to befriend gamers your age! Let alone adding a little flavor to the quality of life in MMORPGs. How to implement it you ask? Well, I guess you could do that by getting the player's age from his/her information when they first register to the game! There's one problem though, that being cheaters! Yeah, I mean people who would enter their true age wrong in order to deceive people! But cheaters are always there and can't be avoided. London, UK, 4th of June, Hideo Kojima, the internationally acclaimed games designer, was in London this week to receive his Guinness World Record certificates. 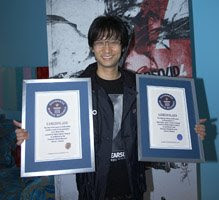 Kojima-san received two Guinness World Record certificates. One for his masterpiece creation, Metal Gear Solid. 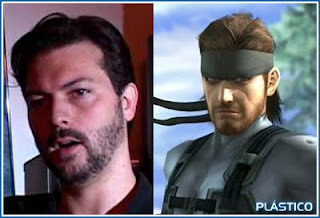 He received because he effectively created the stealth sub-genre by making Metal Gear Solid focused on stealth elements! 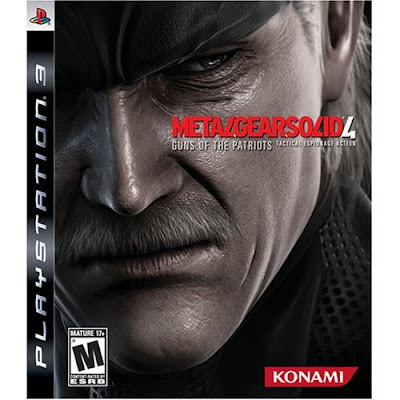 The second for Metal Gear Solid 2: Sons of Liberty, the biggest selling stealth game on Play Station 2. I heard that Square Enix is going to release two RPGs this year. 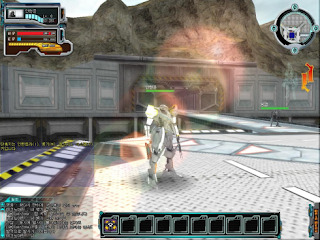 The first is Infinite Undiscovery, which has been co-developed by Tri-Ace studio. Infinite Undiscovery is a first in supposedly new series from Square Enix that's on the X360. This game is set for release on Septemper 2nd (US), Septemper 5th (Europe) and Septemper 11th (Japan). 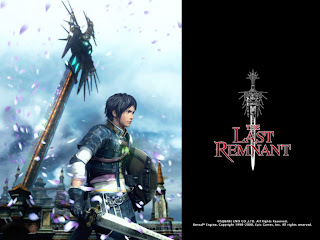 The second game is The Last Remnant. A game powered by the Unreal Engine 3. The game is set for release globally on Winter on the X360. No time frame set for the PS3 version. 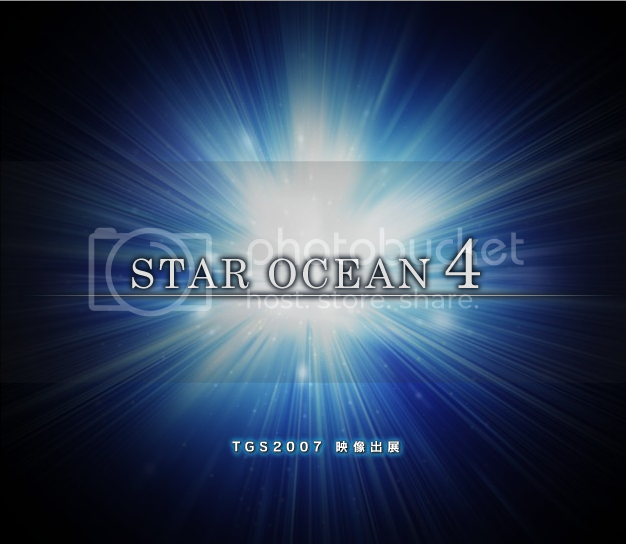 Also the fourth Star Ocean game, Star Ocean4: The Last Hope, is set for 2009. Recently, I read a topic by Video Game Philosopher titled "What is your Quest?". In that post, he discussed the current system of MMORPGs, particularly quests. Quests system is a system that allows players to help NPC (Non-Player Character) with their problems in return for compensation. I believe the first MMORPG to come up with this system or at least make it the mainstream trend is WoW (World of Warcraft ). Now, for anyone who's used to playing these games, quests are really just a way for players to level up. And sadly enough, the script behind these quests are usually half-arsed! For instance, a NPC wants your help dealing with some monsters, of course, the NPC is usually more bodily-fit than your character but that doesn't seem to stop him from asking you anyways. When you look into the reason why he wants these monsters dealt with, you'd find some stupid reason, like they trashed my shop or I lost my ring! Of course, there are many who love this system, I however, don't. I won't get into the whole existential talk here about what purpose MMORPGs really exist for. You can't, no matter how hard you try, get a sense of accomplishment in MMORPGs! You only strive to level up, and when you do, you find 10,000 other players just like you, have the same weapons like you, same appearance and nothing at all to differentiate you from them except for your name and your guild, if you were in any. I long for a MMORPG that's skill-based. That way, when I grind and level, there's still something that can make me different than anyone else, let's say in a duel or pvps. I'm sick and tired of those point and click games, I feel like I'm watching this pointless slaughter for no reason at all! The only game that's somewhat decent is AoC (Age of Conan). I say it's decent because I only read about and never tried it myself. You can read Video Game Philosopher's post on his blog in this link. In a recent episode of Bonus Round, Gametrailers.com had a little chat with 3 important people. Well, they're not that important, but they're important enough when it comes to gaming world. The interview made by Geoff Keighley, featured the appearance of N’Gai Croal (General editor of Technology newsweek) , David Hayter (Do I even need to say who he is? ) and Rob Smith (Editor in chief of PlayStation Magazine and the lucky guy that got to play through MGS4 start-to-finish twice!). Apparently there is another part coming soon, but I don't know when actually. So, keep tuned either here or at Gametrailers.com. 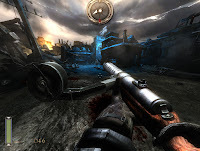 This new WW1/Vampire/Shooter game developed by The Farm 51. At 1C Company's annual press event this week, GameSpot.com took a few minutes to step into the combat boots of a young American soldier, volunteering to join the British army for the adventure of a lifetime. The game is original to some extent. Actually, it's very original. I've never seen any WW1/Vampire/Demonic Powers/FPS games around! The story of the game can be found at GameSpot.com. In 12th February, 2008 Square Enix announced that it had filed a federal lawsuit in the Central District of California against alleged infringers of Square Enix’s intellectual property. Those "infringers" supposedly sold Square Enix game sword replicas. At least four wholesalers were accused. I guess Square Enix isn't taking intellectual infringement lightly. For all of you out there who hold Square Enix dear, please support them by buying their products! No one, specially a company, likes to do hard work for nothing in return! Kojima: Metal Gear Solid Will Always Be ِِAround ! In a recent interview with Reuters , Kojima confirmed that Metal Gear Solid 4: Guns of The Patriots will not be the last in the series! Kojima stated, however, that he may not take the lead role in future MGS games, that he will "sit in as producer and let the young staff take control of the new series".